It has been an amazing privilege to meet your son or daughter – or both! The students here at Holland Christian High School are gifted, kind-hearted, and they love Jesus. Our district wide theme this year is Preparing a Table. Our desire is to create a community where each individual student is valued and loved for the young person that God has created them to be. The teachers and staff have been busy “Preparing a Table” in their classrooms, the hallways, the media center, the gym, the theatre and throughout the building for your child this year. The Bible is full of examples of Jesus reaching out to those in need and inviting them to His table. The table represents hospitality and fellowship in ways that we learn from our Christian faith. May this year be blessed with several conversations of really listening to each other to equip minds and nurture hearts so that we may all transform the world for Jesus Christ. I look forward to meeting many of you tonight at Parent Night! The evening will start at 7pm in the auditorium with me explaining what the evening will look like. You will then follow your son or daughter’s regular class schedule for the remainder of the evening. I feel honored and blessed to work with your student and the staff here at Holland Christian. Thank you for entrusting them to our care. We see this as an important partnership and I look forward to working with you. Please let me know if there is anything you need. You are cordially invited to attend our Parent Night on Tuesday, September 4, at 7 pm. We will all meet together in the auditorium for some opening remarks and then you will follow your son or daughter’s regular schedule for the remainder of the evening. This is a great night to meet some other parents as well as the new and returning teachers. It is our hope and prayer that you will see and hear each teacher’s love for their subject and passion for serving Jesus Christ. Please click on this link for more information and be sure to fill out the schedule sheet and take it with you that evening. If you have more than one student attending, parents are encouraged to attend classes individually or follow a modified schedule for both students. The counselors and administration will be in their offices and available throughout the evening if you would like to meet with them. Just a reminder that we now have a intercom/buzz-in system at HCHS. A requirement for our accreditation was that we had to install such a system at all of the HCS campuses. Please note that after 8:10 a.m. (9:00 a.m. on Wednesdays) the front doors to the main high school entrance (Entrance A) will now be locked and you will need to press the intercom button located to the right (north) of the doors to speak to one of the office personnel who will “buzz” you in. Like always, if you are staying, you will still need to stop in the office to sign in and get a guest badge. Thanks for your cooperation with this important safety protocol. This year we will again be utilizing MAP testing to monitor individual student growth as learners. The MAP Testing instrument dynamically adjusts to each student’s performance and creates a personalized assessment experience that accurately measures performance—whether a student performs on, above, or below grade level in Math, Reading, and Language. There are two scheduled testing windows for this school year with the first being September 10-21. Check out this website for more details. These assessments will replace the PSAT that we have used the last several years. The PSAT will still be available as an option for sophomores and juniors and will be administered the morning of October 10. Parent Teacher Conferences for High School will take place on Thursday, October 11, from 3:30 pm – 6:30 pm and Tuesday, October 16, from 5:30 pm- 8:30 pm. The Administration Office will be emailing you sign up directions. HOMECOMING 2018! Join us for this year’s homecoming family fun! Join us for the 4th Annual HCS Homecoming, Friday, September 14, 2018 at Holland Christian High School. This evening has become a family favorite, filled with good memories—even when it downpours! Picnic dinner and children’s activities, including bouncy houses, lawn games, and crafts, start at 5 pm, then the varsity football game against Byron Center begins at 7. The cost is $8 per person in advance, including both dinner and game, and tickets are available online at hollandchristian.org/alumni or at the HCHS or HCS administration offices. Or it’s $10 per person on the day of the event. Looking forward to hanging out! We are encouraging college bound seniors to get their applications in by Thanksgiving vacation to have the best opportunities for financial aid. We are offering to assist non-college bound seniors with career selection, information, and job placement. We will be holding an informational session with all seniors during Family Flex time (10:25 – 11:10) on Wednesday, September 5 in the auditorium. This meeting will cover a timeline of things seniors need to be doing throughout the school year, including the college application process. Parents are welcome to attend this meeting. Throughout the school year, various scholarship opportunities will be posted online through the Counseling Department. A listing of outside scholarships, both regional and national, will be updated as we receive notices of scholarships. Beginning in the second semester, there will be information online about the Holland/Zeeland Community Foundation Scholarships that are open to Holland Christian students and also internal HC scholarships, which are for Holland Christian students only. Be sure to check the Scholarship portion of the Counseling Department website. For a complete listing of colleges visiting HCHS visit the Counseling Department website. A college representative will be at HCHS on Wednesday, September 12, 2018 at 7:00 p.m. to speak to parents about filling out the FAFSA and other financial aid opportunities. Upcoming ACT test dates are October 27 (regular deadline is September 28) and December 8 (regular deadline is November 2), 2018. HCHS is a testing site for each testing date this school year (not including the July 13, 2019 date). Register for the test at www.actstudent.org. Upcoming SAT test dates are October 6 (regular deadline is September 7), November 3 (regular deadline is October 5), December 1, 2018 (regular deadline is November 2), and March 9, 2019 (regular deadline is February 8). HCHS is a testing site for only the November 3 and March 9 test dates at this point. To register for the SAT, go to www.sat.org. There is information about free ACT and SAT Preparation on the Holland Christian website; also, pick up a free “Preparing for the ACT” and a free “SAT Student Guide” booklet in the counseling office. The PSAT will be given on Wednesday, October 10 during the school day. This is a national test date set by the College Board; there is no make-up date for this test. Sophomores and Juniors will have the opportunity to take the PSAT. They will need to sign up and pay for it; information about the sign-up has gone out. The PSAT is taken to prepare for the SAT, a college entrance examination. For juniors it is also used in determining National Merit qualification. Test results are not used for college entrance. Holland Christian and Zeeland Christian are partnering together for a showing of the film SCREENAGERS on September 25 at 7 pm in the HCHS Auditorium. Are you watching kids scroll through life, with their rapid-fire thumbs and a six second attention span? Physician and filmmaker Delaney Ruston saw that with her own kids and learned that the average kid spends 6.5 hours a day looking at screens. She wondered about the impact of all this time and about the friction occurring in homes and schools around negotiating screen time – friction she knew all too well. In SCREENAGERS, as with her award-winning documentaries on mental health, Delaney takes a deeply personal approach as she probes into the vulnerable corners of family life, including her own, to explore struggles over social media, video games, academics and internet addiction. Through poignant and unexpectedly funny stories, along with surprising insights from authors, psychologists, and brain scientists, SCREENAGERS reveals how tech time impacts kids’ development and offers solutions on how adults can empower kids to best navigate the digital world and find balance. After the film, we’ll engage in about 30 minutes of discussion about how parents can work through the trickiness of technology and screens with their child. Please join us for this important event! We especially encourage parents with children in 5th – 12th grades to attend this event. HCHS hopes to welcome 4-6 Guatemalan students this fall through the Faces & Our Cultures Exchange Program. The Guatemalan students will arrive October 16 and will return to Guatemala on December 9. During the students’ stay in the U.S., the parents in Guatemala cover their child’s expenses, including books, school lunches, pocket money, insurance, etc. Host families are responsible for providing lodging, breakfast/dinner, transportation and welcoming the students into their homes and family life. Please click HERE for more information. If this sounds like an opportunity that your family would consider, please email Jane at jvanderbeek@hollandchristian.org by September 7. All parents and students will be emailed the high school daily announcements. Please help us by keeping your contact information up to date by going to the PowerSchool demographic change page. If you are not receiving announcements please check your spam or junk folder. This varies with each computer filter when bulk emails are sent. If you are unable to make changes please contact the high school at (616) 820-2905. Announcements are posted daily on the HC website. Click here for details. The deadline for senior pictures is September 28. The middle school is looking for 2 students to do custodial work after school. Interested/Need more info? Please email ms@hollandchristian.org. Thanks! TRIP is a tuition reduction incentive program – just one way to pay for everyday purchases earning rebates for your tuition account. Using TRIP to pay for your normal weekly purchases in a school year, you can raise $500 or more per school year towards your tuition. 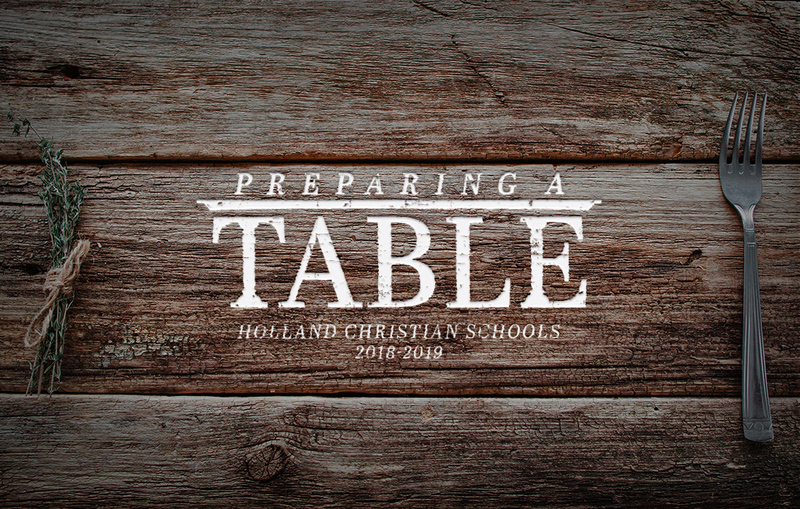 If interested please contact the TRIP program coordinators (Kristi Lokker and Mary Wynia) at trip@hollandchristian.org or at either Rose Park or the High School on Wednesday mornings from 7:30-9:00. Upcoming TRIP dates are September 5, 12, 19, 26, and October 3, 10, 17, 24, 31. The Maroon and White Shop is open on Wednesdays from 8:30 am – 1 pm. Look great and support HC athletics. All students who drive to school are required to display a parking permit on their vehicle. They are available in the office. Detailed busing information can be found on our website.